We have beautiful mannequin lights at Binder's! 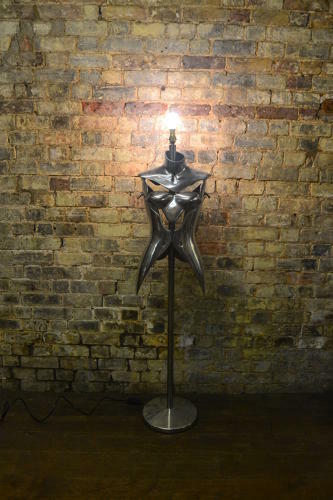 We have two versions of this gorgeous mannequin lamp, and this is our larger standing version which looks beautiful. It'll be perfect for any shop or home, with a unique mechanical feel.